The San Diego Zoo is one of my favorite things to do in San Diego. It is fairly inexpensive and there is so much to do and more animals to see than possible in one day! If you are just visiting the zoo on vacation I would definitely recommend taking the zoo tour but if you're just walking here are the Top 10 Animals to see when visiting the San Diego Zoo, from a kids perspective. My kids flock to the flamingos and the flamingos must be PRETTY popular because they are located in several different areas of the zoo including right at the front entrance! 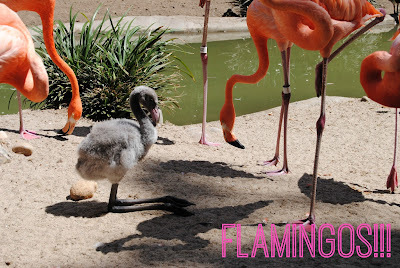 My oldest son loves to sit and eat lunch in front of the flamingos, though this can be dangerous for you food... my one year old lost a triangle of sandwich to a daring duck who snatched it right out of his hand! The giraffes are so majestic and there are a couple "babies" at the zoo right now, babies is in quotes because even at birth they are taller than me! The giraffes are super fun to watch and there are set dates and times where you can (pay to) feed the giraffes. 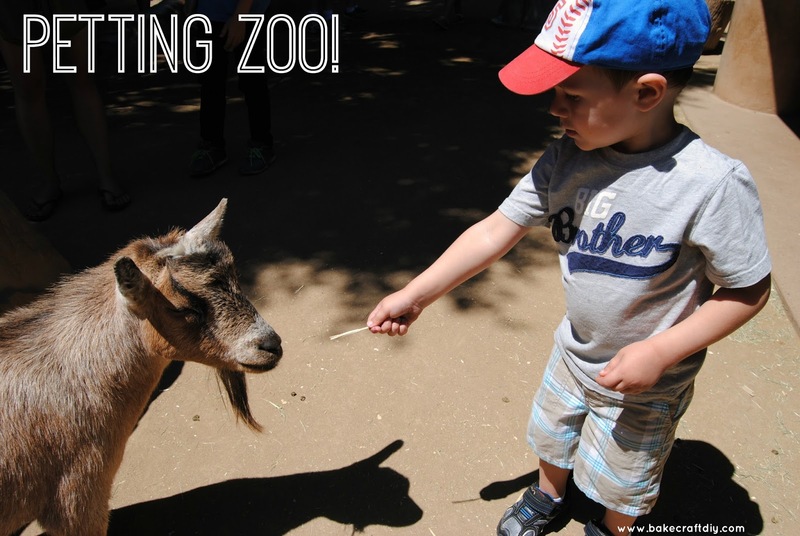 Head to the petting zoo and you can hang out with the goats and sheep. You can pet them and if you see any of their food on the floor you can feed them. There is a hand wash station right outside the enclosure so you can pet away then wash your hands, the sink is lower for kids. There are two different hippo enclosures at the zoo one closer to the front off the monkey trail and one further down. The one towards the front are pygmy hippos and they occasionally get a visit from a monkey who enjoys teasing them and will occasionally sit on the hippos. However, the hippos that are further down tend to be more active and there is one that seems to always be swimming around. The lion enclosure allows you to get pretty close to the lions when they feel like hanging out near the glass. We've come at a time where the lions were napping in front of the glass and we've also come at a time where the male lion was active and roaring. I was SO bummed when I went to visit the otters only to find them replaced by the penguins but oh my goodness the penguins are amazing and interactive! No joke! 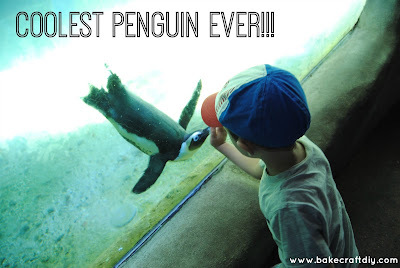 The first time we visited one of the penguins was following my sons hands and was playing with the kids right up next to the glass. The penguins are in the kids area pretty close to the petting zoo. I may be slightly biased as there is currently a baby orangutan but he isn't there all the time. The orangutans actually take turns coming out so only some of the orangutans will be out at a time, but it is definitely a pleasure to see the little orangutan!! There is a huge walk to get to the polar bears and it's not bad going to the polar bears as it is coming up the hill when leaving the polar bears. But they are definitely worth the walk, there is an interactive area with a story book, a refrigerator that shows a polar bears meal vs. the average person, you can weigh yourself or your family to see how you weigh up to a polar bear and more! The cheetahs are usually found near the giraffes and can sometimes be found with their paired animal (dogs). Each cheetah is assigned a dog at a young age and the cheetah takes cues from the dogs to help them be more comfortable in front of people. You may be able to see this in action during one of the shows at Wegeforth Amphitheater. These guys are so cute and there are quite a few of them at the zoo! They have their own area with a metal tree kids can climb, complete with statues of koalas hanging on to the tree. And the flooring around the koala tree is soft.